This summer we have set sail for the tiny, yet intriguingly beautiful waters of Montenegro. Significantly smaller in maritime territory than its neighbor Croatia, Montenegro is a rough pearl whose many charms can put to shame many a larger tourist country. Tumultuous history, imposing religious monuments, rugged nature, modern marinas and the finest hotels in the whole of Adriatic – and charming hosts to boot. What’s not to like? If you are looking for peaceful waters and stunning scenery, Montenegro is the place for you. The coast of this southern Adriatic country is unusual to say the least: mountains descend all the way to the sea, the three-hundred kilometer long stretch of coast is dotted with caves, beaches and dramatic cliffs hurtling toward the deep blue sea. The Kotor Bay – the southernmost fjord in Europe – is a thing to be marveled, shaped by the river that long ago used to meander through the Orjen mountain range. The waters of Montenegro are the deepest in Europe, surrounded by mountains up to 1.700 meters tall, spotted with river mouths brining fresh water into the sea. The bay and its surroundings are on the UNESCO World Heritage List, as are the towns rising around it – Herceg Novi at the entrance, Risan north-east, Kotor south-east and Tivat south-west. Start your round-trip in Tivat, in the super-luxury megayacht marina Porto Montenegro. 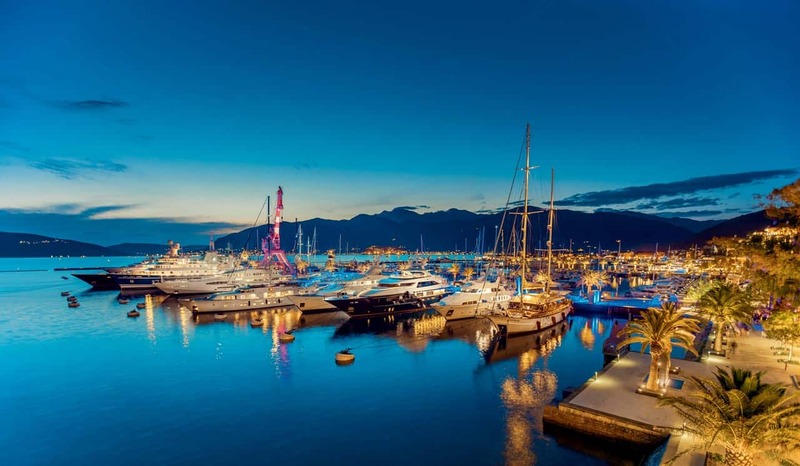 This glamorous yachting spot is a megayacht mecca with luxury residences and hotels, five-star Regent hotel, restaurants, bars, coffee shops and stores of all kinds. Throughout the summer, their events calendar is filled with a series of ongoing cultural, leisure and arts events across the village. The town of Perast is but a short sail away, but you will feel as if you have gone back in time. Signs of the 21st century are few and far between in Perast, which still looks pretty much the same as it did when it was part of the almighty Venetian Republic. The last place on earth to lower the Venetian flag after their surrender to Napoleon, Perast has six defense towers – among them the fortress of Saint Cross – keeping vigil over its sixteen palaces and nineteen churches. Stroll the narrow streets of Perast and than take a break in the beloved restaurant Conte down by the sea, and enjoy their mouthwatering appetizers, seafood and wines, topping it all up with the delicious Perast almond cake. Those interested in religious content will be delighted with the nearby isle of St. George and its 12th century monastery of the order of Saint Benedict, or the isle of Madonna dello Scarpello – a man-made island created by local fishermen. The legend has it that after an apparition of the Virgin Mary in the 15th century, fishermen vowed to drop a stone in the sea at that exact location every time they sail by. Hundreds of years later, the locals still gather there on June 22 and honor their promise. After Perast, set sail for Kotor, where you can anchor at the marina in front of Kotor Old Town – a stunning UNESCO protected town brimming with history. For centuries ruled by the Venetian Republic and the Ottoman Empire, Kotor is a living exhibition of their respective styles. Take a stroll in the narrow alleyways before dinner at the exceptional restaurant Galion on the waterfront facing downtown. Enjoy the stunning view of the harbor and old city walls. The best place in town for a lazy cocktail before dinner – or a loud and energetic trip to the dance floor – is club Maximus in the heart of the city. Across the bay, gourmets will find their new favorite place in Ćatovića Mlini, a picturesque old water mill whose owner, Mr. Lazar Ćatović, gave it a new life as a tavern equally beloved for creative food and atmosphere. Enjoy their famous fish pate or catch of the day served to the relaxing sound of bird song and water. Take a leisurely sail around the Bay of Kotor before heading back to the outskirts of the Bay. On your way out, you will sail by the island of St. Mark (named after the patron saint of Venice), the largest island in the area, beloved for its beautiful beach. Hidden between the island of St. Mark and the Luštica peninsula, on a small islet only 200 meters across, stands the monastery of the Virgin Mary. Make your way to Krtole for a nice brunch at Vino Santo restaurant, and drop your anchor directly in front of the restaurant. Sailing along the peninsula, you will come upon the tiny port of Rose, standing there since the antiquity and serving, over the centuries, as a Greek trade outpost, and a quarantine in the Venetian era. Today, this tiny fishing village is perfect for those looking for fresh fish, sandy beaches and quiet coves. Rose is also popular with divers, partly due to its proximity to the famous Blue Cave. The cave, nested between the Zlatna luka bay and cape Mokra gora, is a former pirate nest, only accessible by boat, through a narrow opening in the rock. The cave is similar, but not identical to the Blue Grotto on the Croatian island of Biševo. Four of the most visited locations in these waters are Bigova, Budva, Sveti Stefan and Miločer. 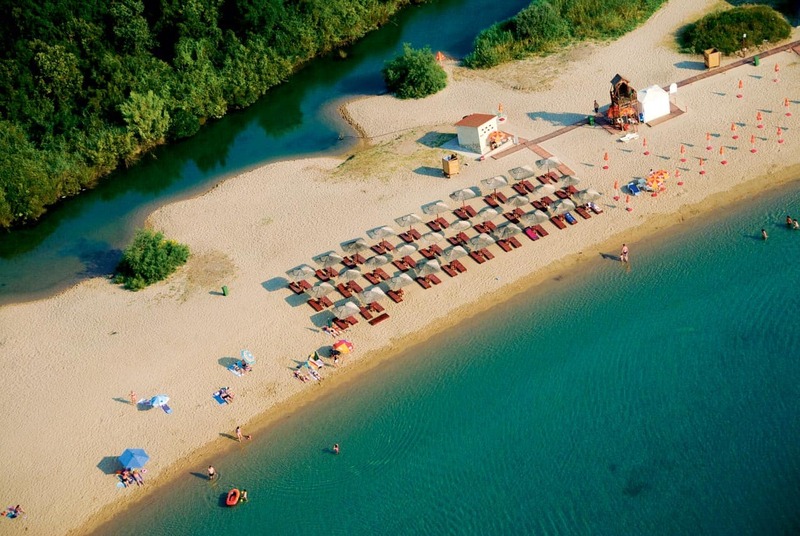 Drop your anchor in Bigova cove, take the tender to the coast and spend the evening in Budva. This delightful town with narrow alleys and endless restaurants is the perfect spot for unwinding, a cocktail in hand. 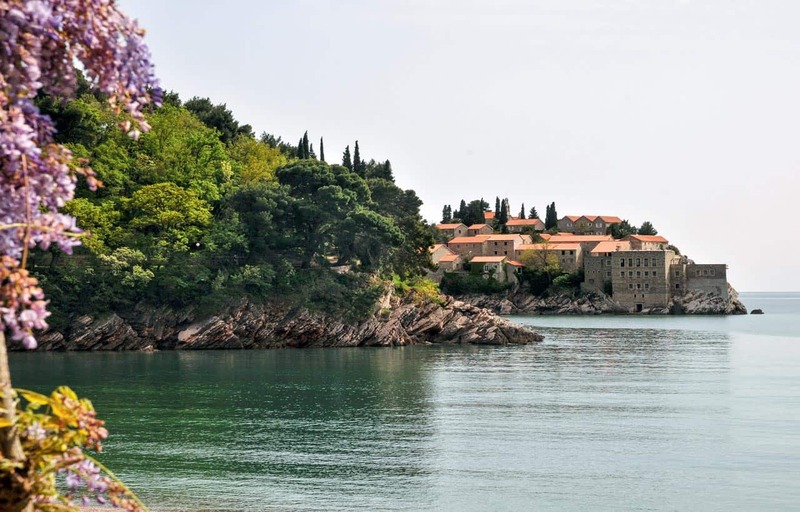 The high-end resort Aman Sveti Stefan and Villa Miločer – former president Tito’s favorite summer house – is settled on the peninsula St. Stephen. You can enjoy a stroll around their lush grounds and then sit down for lunch at restaurant Olive. After a quick dip and some leisure time on water, head back to the port. In the evening, soak in the spectacular view from atop the hill at Queen’s Chair. At the end of your trip, right before you enter Porto Montenegro, you will sail by an uninhabited isle of Mamula, easily recognizable by the military fortress standing on it. The fortress, erected by a general of the Austrian Empire Lazar Mamula near the end of the 19th century, was to serve as defense from a possible attack from the sea. The canons resting in the fortress – that looks as if was built mere weeks ago – were never used, but the fortress itself served as prison for a while. On the entrance to the picturesque Kotor, next to the beautiful medieval city of Herceg Novi, resides a new supreme destination for travellers and sailor. Exclusive Lazure Hotel & Marina supplemented by a boutique hotel with restaurants, bars, spa, fitness and a marina with 156 berths for boats up to 30 metres will be open later this summer. Montenegro is a place whose rugged beauty and old culture will delight you no matter how you choose to visit and explore it – but can be best enjoyed lazily sailing around and discovering its many charms.